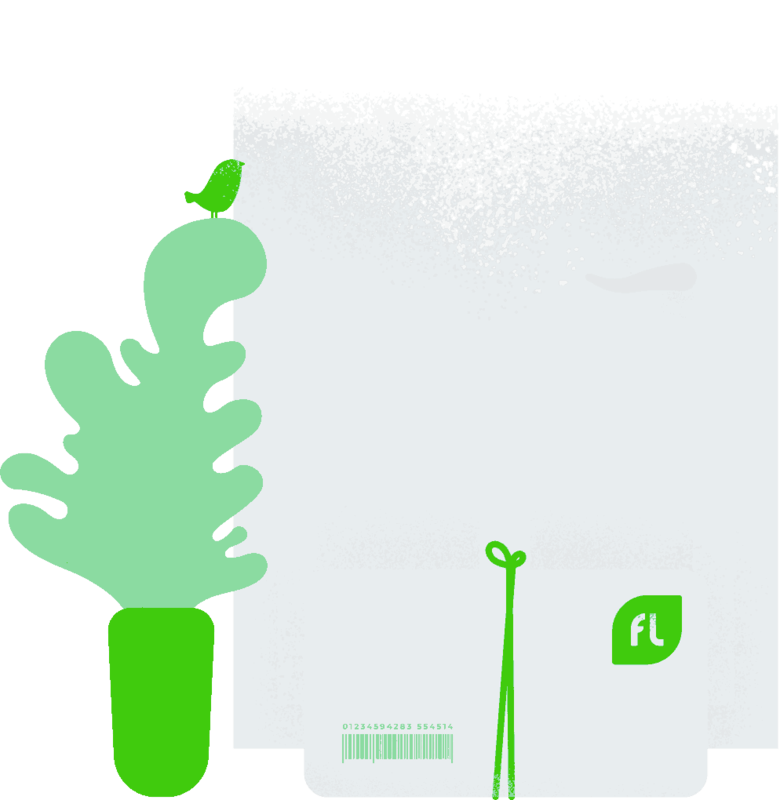 FigLeaf App — Everything you need to stay private. The choice to be private is all yours. There’s a lot of you out there. Shouldn’t you get to decide who sees it? 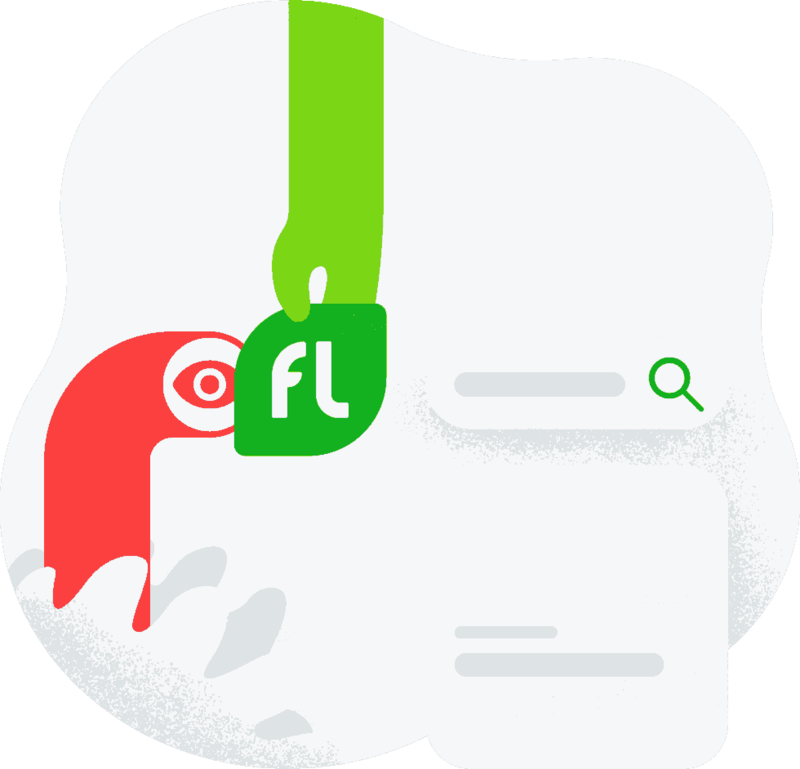 Now you can, with FigLeaf. Peel back the curtains and find out what personal info is floating around online. 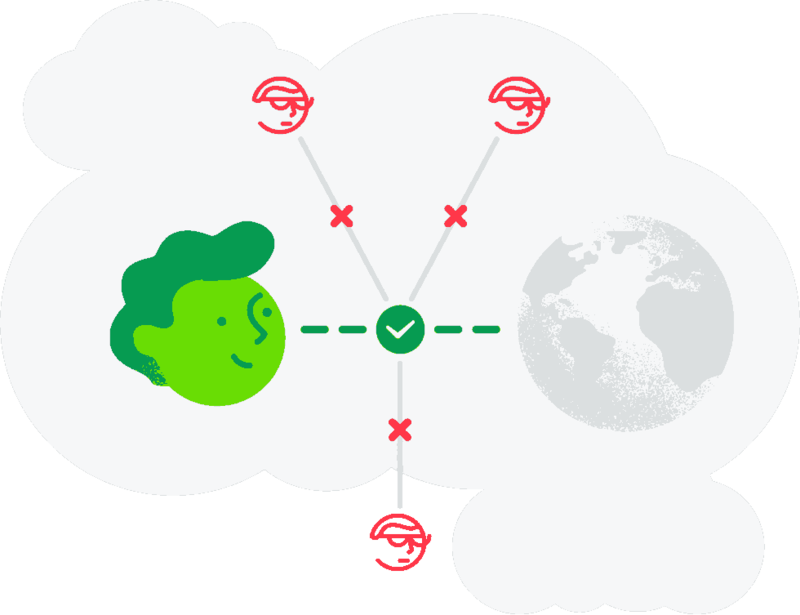 Choose to make your emails, passwords, payments, and activity private with a click. Our personal info is so valuable that everyone wants a piece of it. Advertisers. ISPs. Search engines. Social networks. Online merchants. You name it. They get to decide what happens to our personal info. What we see. What we consume. Where our info ends up. That’s the way the internet works. That’s why we built FigLeaf — to give you the choice to be private. 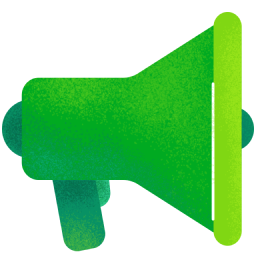 With FigLeaf, the internet is yours again. Your privacy is everything to us. So we prefer to know nothing about you. Only the tiniest bit of info (your email address) is needed to make FigLeaf work. For everything else, we ask for your permission. Your data is encrypted on our servers and on your device. 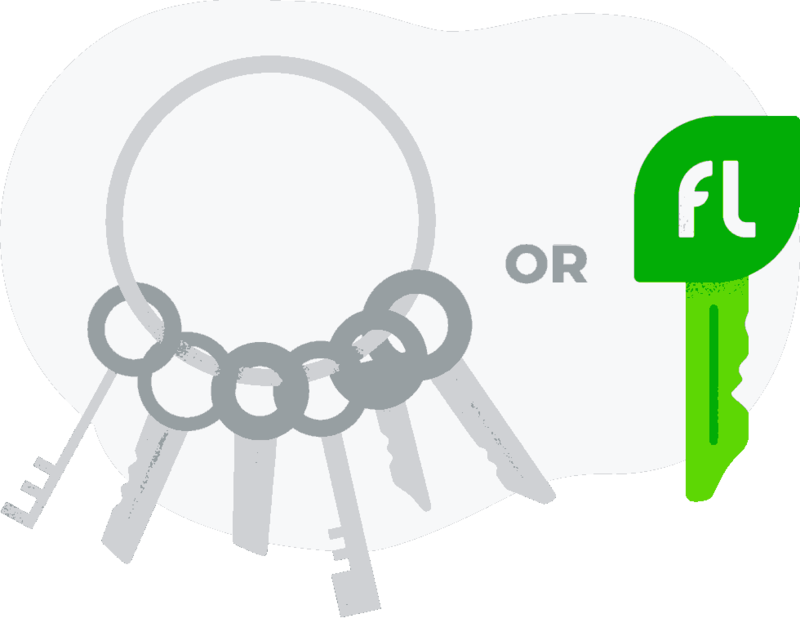 To decrypt it, FigLeaf needs your password and Security Key — and only you know them. If we ever need some info to help with a transaction, we’ll ask for it first. You’re always in control of what you share with us. 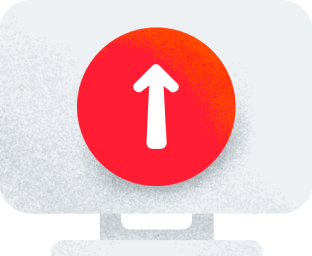 Enter your email or add your favorite accounts. FigLeaf gets to work and checks if your personal info has been exposed. It’s your personal email. There’s no reason it should be public. 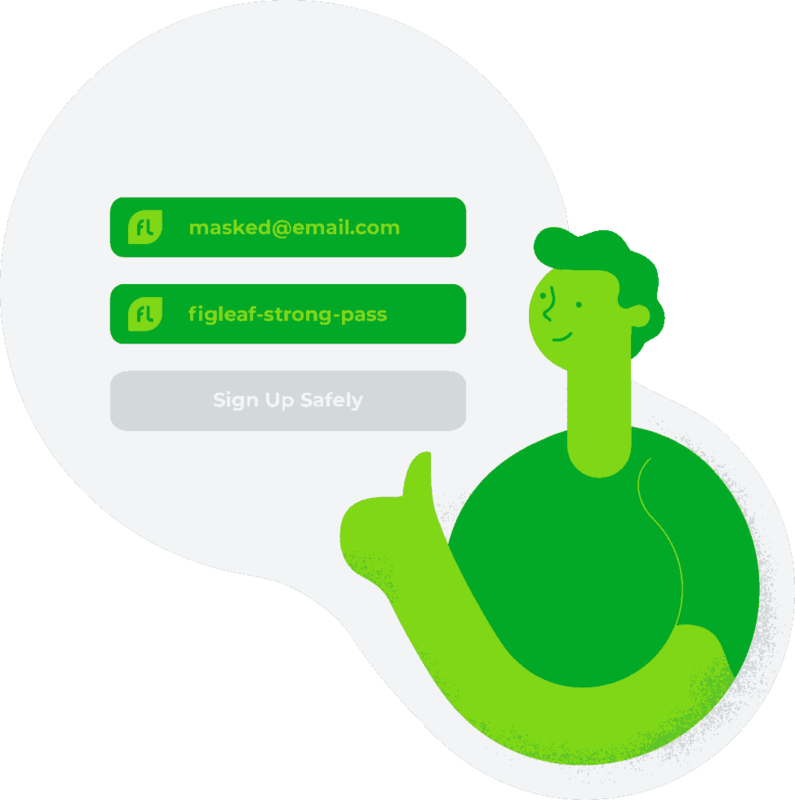 With FigLeaf, you get a masked email to use when signing up at new sites. Create strong and unique passwords for each of your favorite sites. 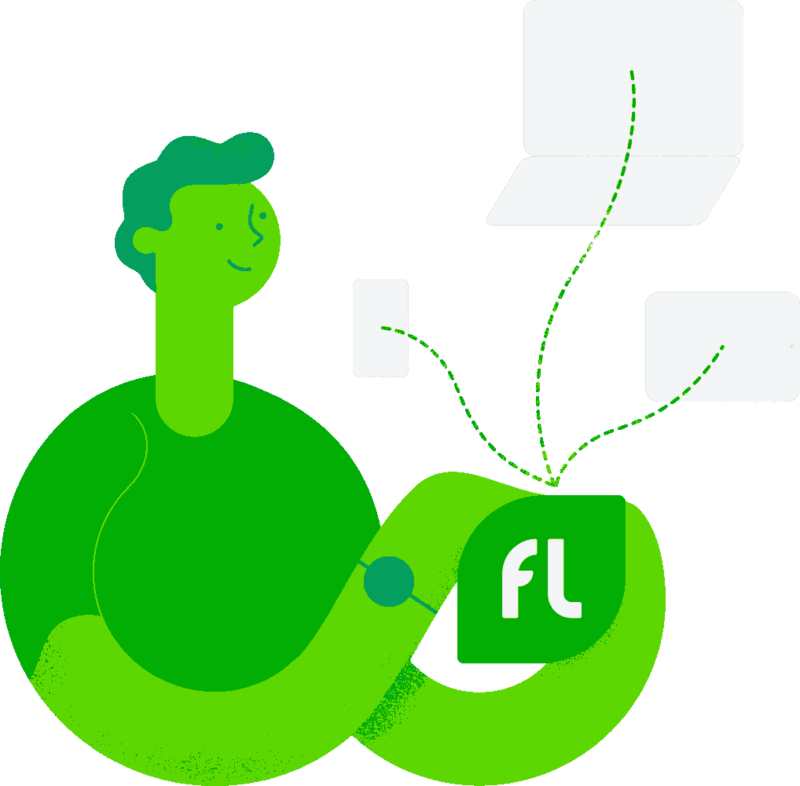 FigLeaf remembers everything and logs you in securely. You shouldn’t have to think twice about the security of that café Wi-Fi or even your home internet. And you won’t, with Private Connection. 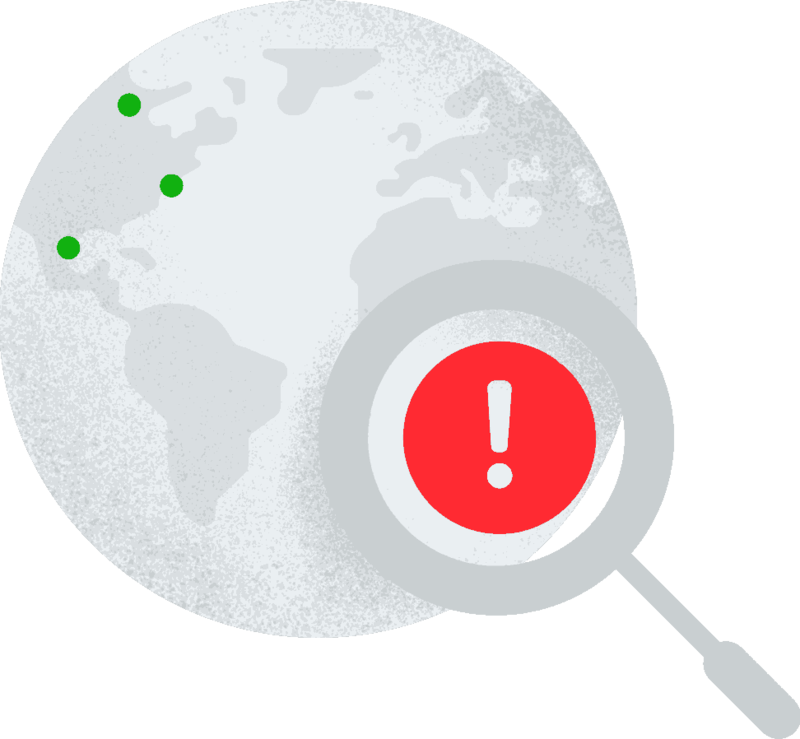 Without tracking protection, advertisers can find out your online habits and interests. 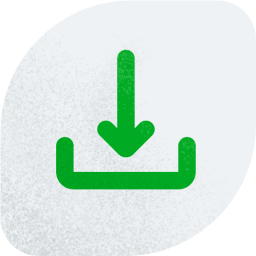 Stop them in their tracks with FigLeaf’s Anti-Tracker. Shop happy with Masked Cards. 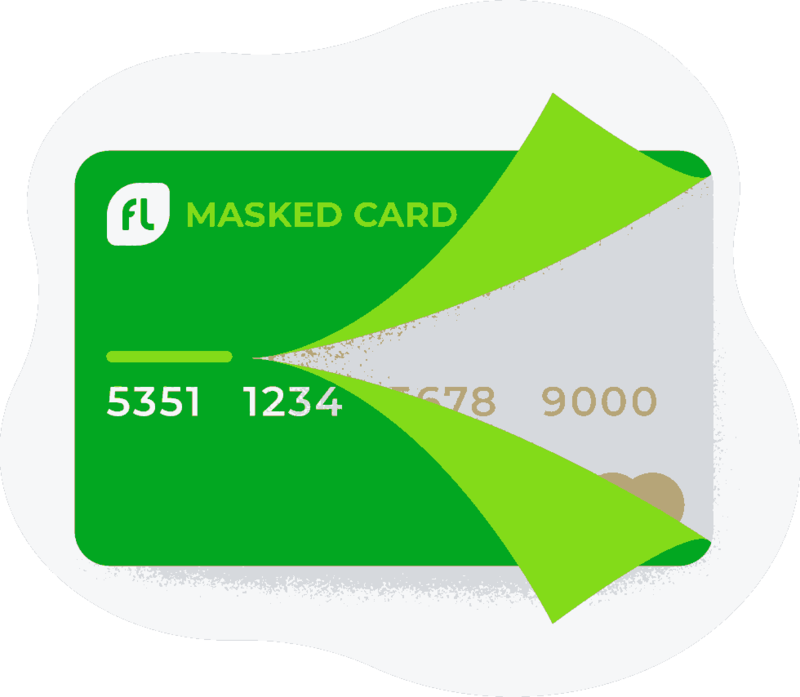 FigLeaf has your back with a virtual credit card that keeps your real number private whenever you buy something online.
" 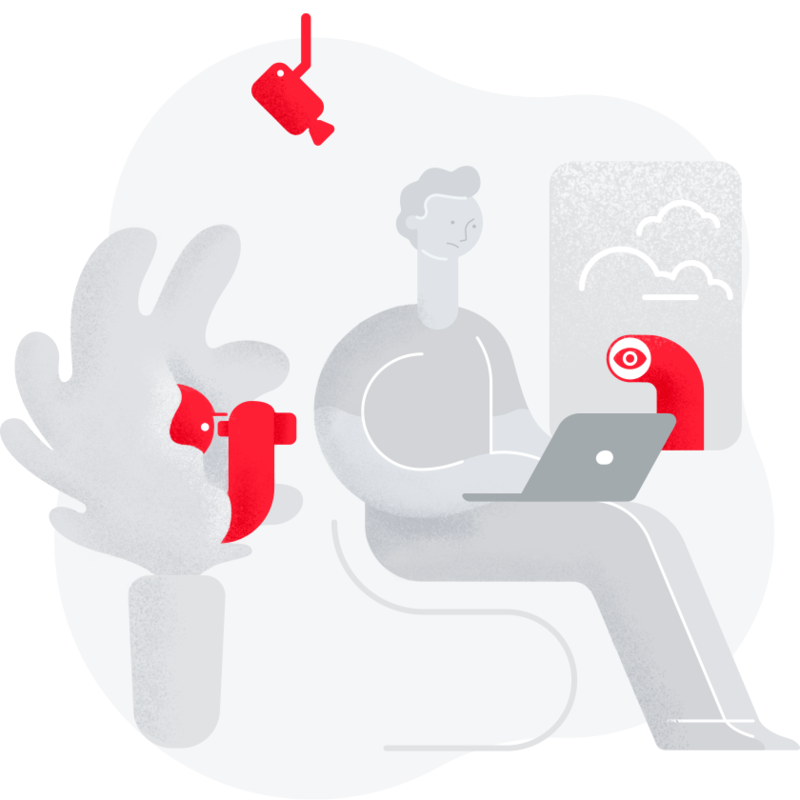 FigLeaf, a Silicon Valley-based startup, is now beta-testing a privacy dashboard that helps consumers control what personal information online sites see. " " FigLeaf's approach is to give users the best of both worlds: complete privacy and a regular online presence. " 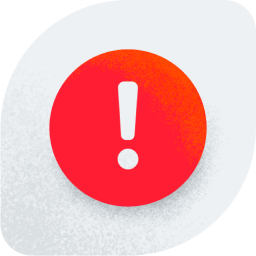 " Through the app, users will also get tools to take back their private data and have the final say in who can or cannot have access it. " " This product is a great idea and I love that you have the ability to use one time emails to protect your privacy. " 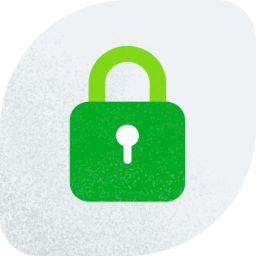 " Many many important aspects to FigLeaf that make being online much more safe for my privacy and make me feel much more secure while i am online. " " Very nice interface. Clean and simple but intuitive to use. I really like the notifications of potential threats to your accounts. " " The program was easy to install and worked seamlessly with my browser and email. " The privacy you deserve is here.